This year's Oscar winning short film was made by Luke Matheny. It's cleverly scripted, well shot, beautifully scored and quite well acted. The film is directed, written by, and acted in by Luke himself, the young man showing great talent in more ways than you can count. The amazing thing though, is that Luke Matheny is still in school. The 34 year old filmmaker has not even fully started his career and already he's a world famous director. His film is a cute and funny little thing about love. 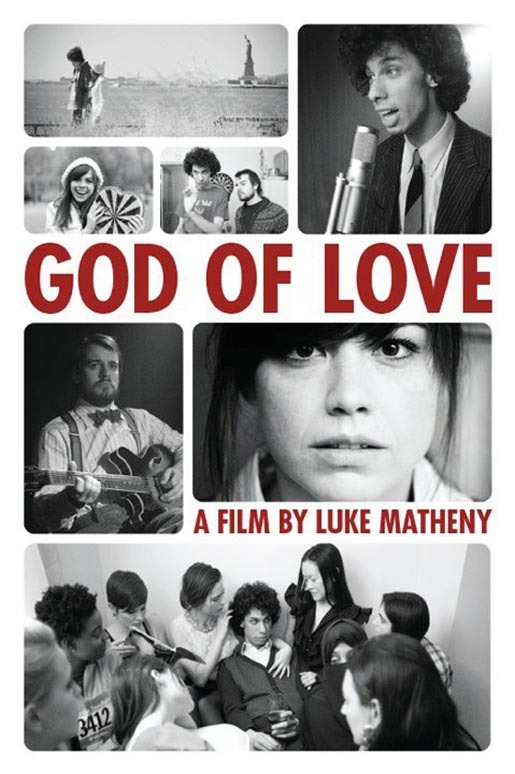 Like so many other great directors have debuted with their feature before him, he chose to shoot God of Love in black & white. Whereas this choice can sometimes seem a bit strange in this age of IMAX 3D, the noir-like atmosphere perfectly suits his story of pale infatuation. Although not as good as last year's winner, my only complaint with God of Love is that it's too short. It's going to be exiting to follow Luke Matheny's career, and see if his first feature will live up to expectations.